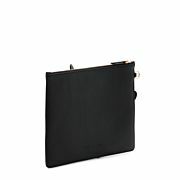 Elegant black leather pouchette. 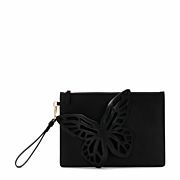 Embellished with a matching 3D Butterfly and detachable wrist strap. 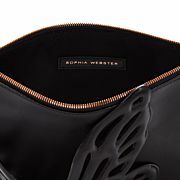 The interior features black lining, there are no interior pockets in this bag. 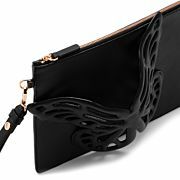 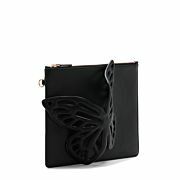 For a unique touch, carry this clutch bag with your hand through the 3D Butterfly. 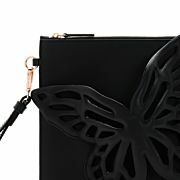 Measurements: Width 25cm, Height 18.5cm, Handle Drop 18cm.